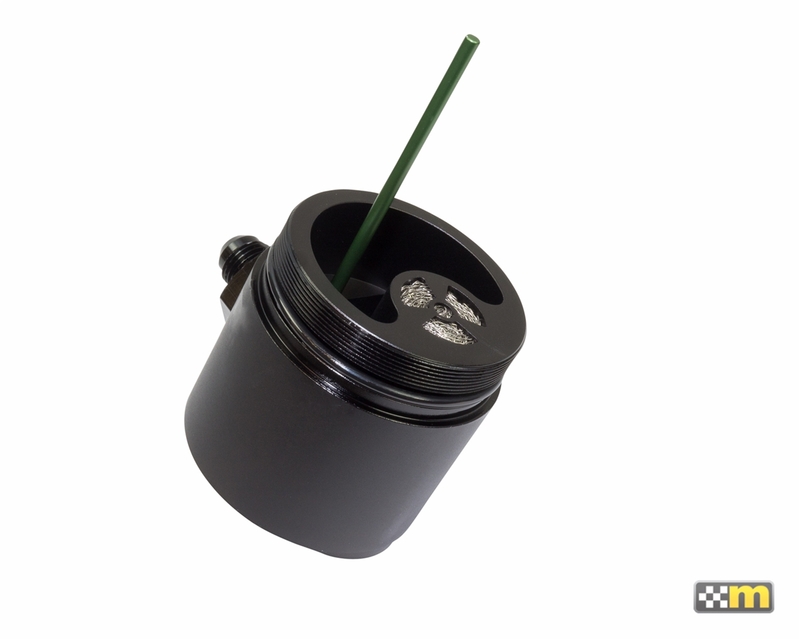 Supplied exclusively by Radium Engineering, this Crankcase Catch Can Kit for the Ford Focus ST attaches to the high pressure fuel pump (HPFP) mount on the back of the cylinder head. 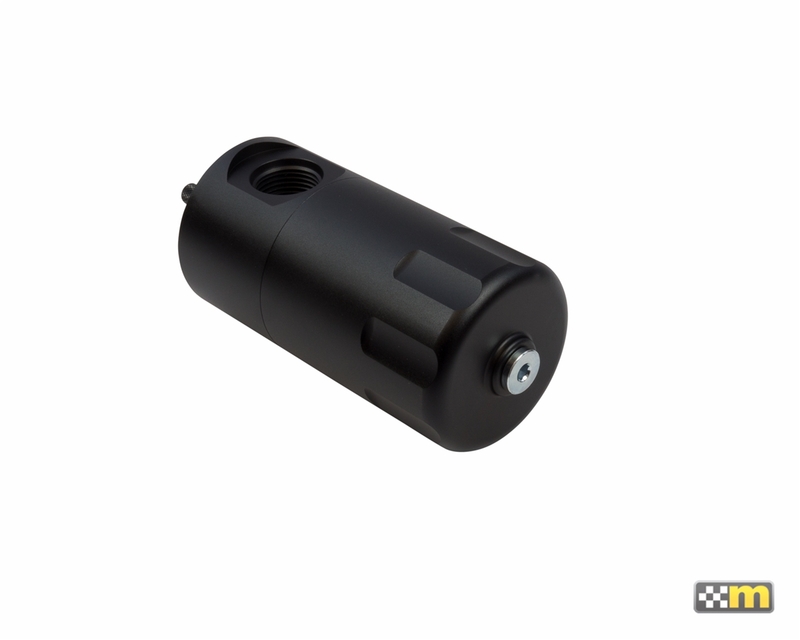 This catch can runs inline with the crankcase breather port. At low loads it experiences atmospheric pressure, but when the engine is at high load (WOT), this hose will experience high flow out of the crankcase. This would normally lead to oil and sludge accumulation in the air filter intake pipe. Oil accumulation will occur in the intercooler which lowers the thermal efficiency properties of the heat exchanger and leads to decreased performance. Note installation of this will require removal of Sound Symposer device as found on the Focus ST.
For the ultimate in engine protection for your ST, we recommend the 20-0358 Dual Catch Can System. 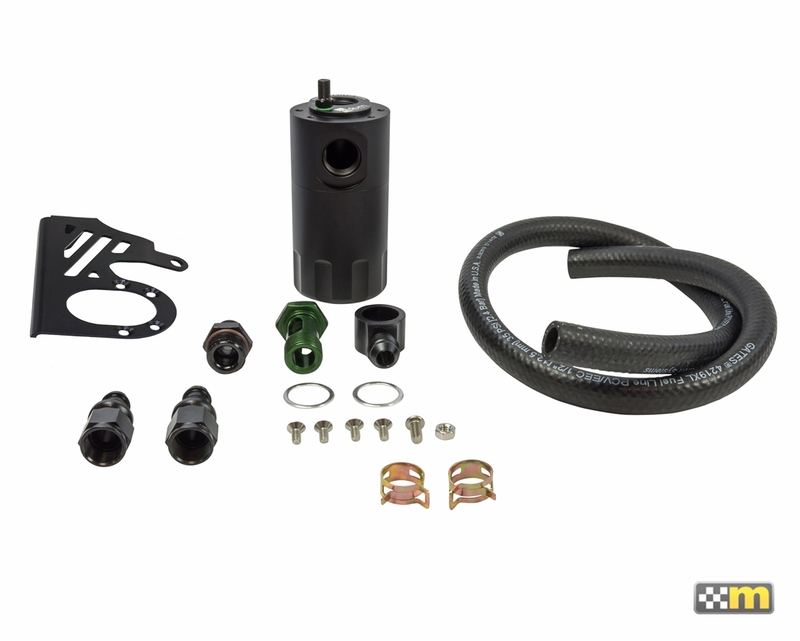 The 20-0358 kit utilizes both the "Crankcase" and "PCV" catch can kits. 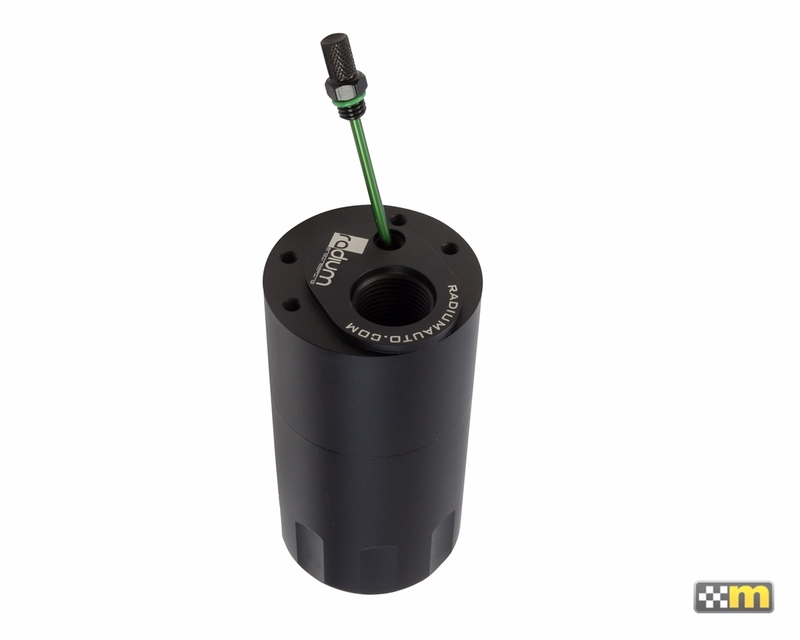 Add the Radium Catch Can Drain Kit for easy service, click here. Prevents oil buildup in the intake and intercooler system walls, throttle body, intake manifold, etc. Excessive oil collection can be an indicator of a damaged engine. Great quality can, wouldn't choose another over this one. Install was simple and quick.